Photos courtesy of Beverley Davidson. 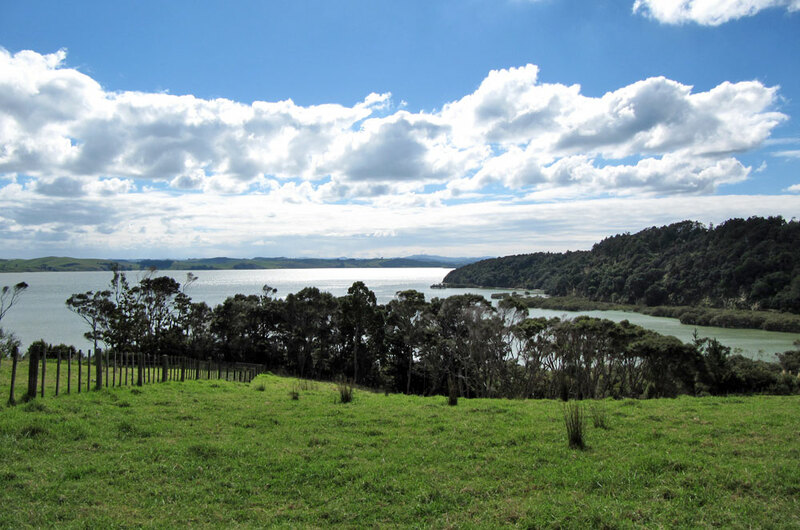 West of Wellsford township, on the Tapora peninsula and overlooking the Kaipara Harbour lies Atiu Creek regional park. 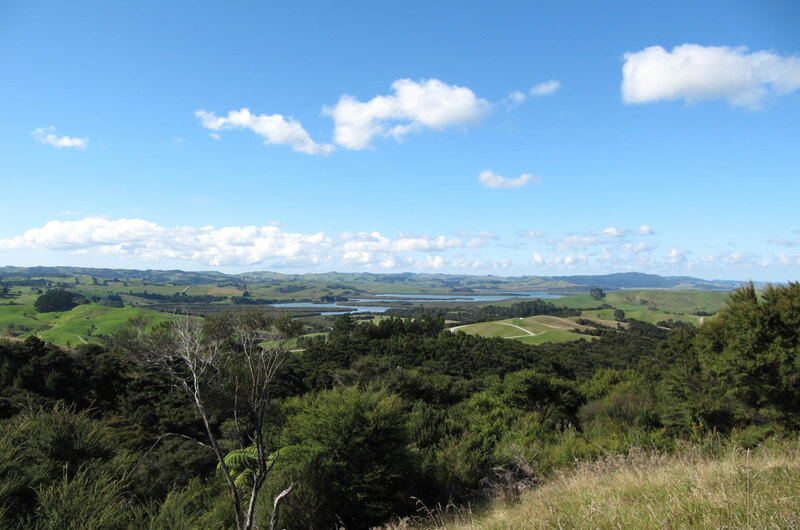 It comprises 843 hectares and whilst it's been gifted to Auckland as a regional park, it remains a working farm. The park offers huge panoramic views, native bush and well defined walking areas. At Wellsford turn off SH1 at the Caltex Service Station on to Port Albert Road and head towards Port Albert. Follow the signs on Port Albert / Wharehine Road for 6kms and turn into Run Road, where you’ll find the park 5kms along on the right after a short length of unsealed road. Vehicle access is only to the main carpark which is also an ideal spot to come for a drive and a picnic overlooking the park and all the main walks start and finish at the carpark. The tracks are also used (in many cases) by mountain bikes and horses but the latter also have their own areas. You could walk down to the historical woolshed and back up to the carpark easily in an hour or out to the Heretoka Pa site from where you get amazing views. There’s a couple of circuit walks which take from 1.5 to 3 hours return for the more energetic plus extra side walks out to the coastal spots if you’d like to spend most the day exploring. 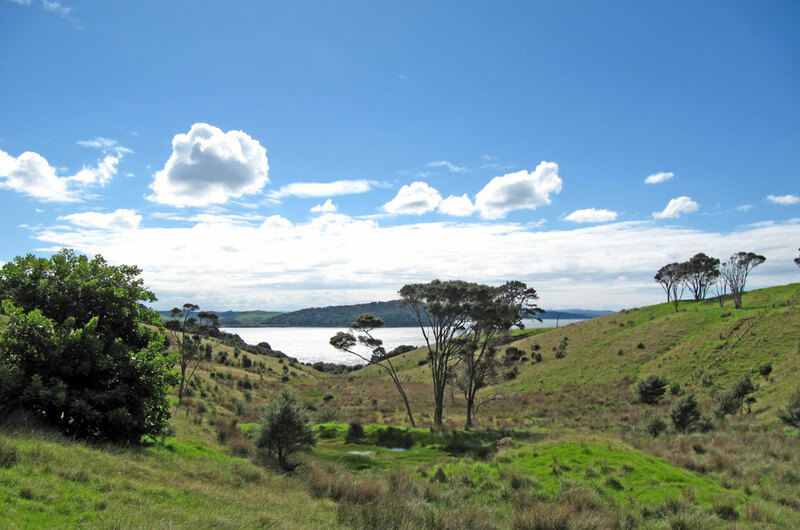 This area is full of a wide variety of bird species: Morepork, native wood pigeon (Kereru), fantails, grey warblers and tui live in the forest and scrubland. White faced herons, banded rails, spur-winged plovers, kingfishers and fern birds inhabit the pasture, shoreline and salt marshes. 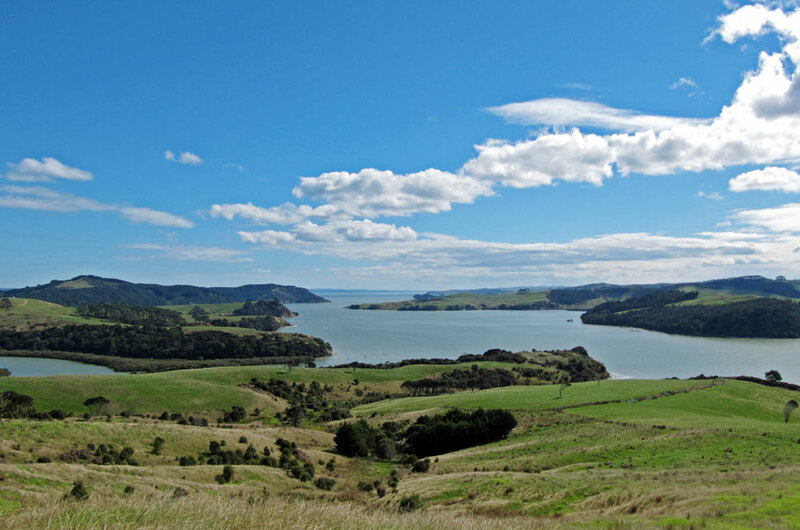 The parks reservoir harbours a few black swans, paradise shell ducks, mallards, grey ducks and NZ dabchicks. The rare brown teal (pateke) puts in an occasional appearance. The currents are extremely strong and dangerous, so watersports are not recommended in the park. Fishing is allowed but extreme care is required. Dogs are not allowed in the park at any time. Horse riders require a horse riding pass, available from Auckland Council. All gates must be left as you find them - open or shut. 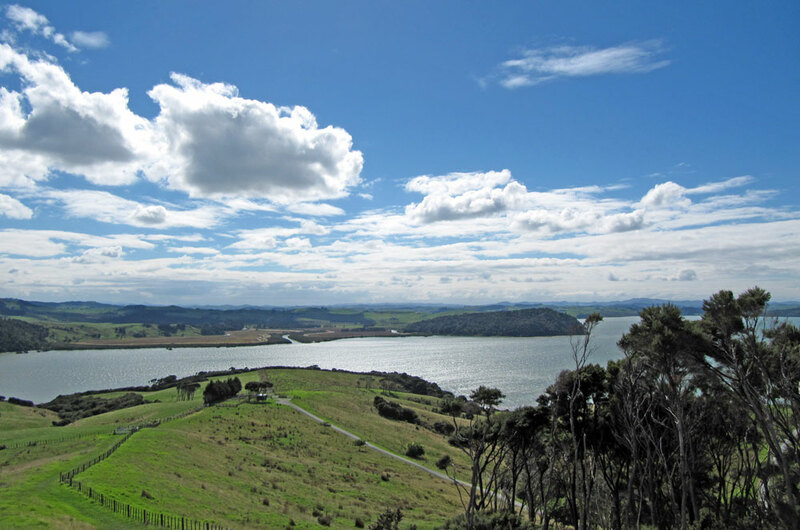 All accommodation in this regional park is subject to booking by phoning Auckland Council on 09 366 2000, option 1. In peak times, booking well in advance is recommended to avoid disappointment. Cash payments are not taken in the park, so you must arrange payment at the time of your booking. Atiu Creek Campground is open from 23 September to 6 June. Self-contained vehicles can stay in the main carpark for one night only. Courtyard House can accommodate up to 23 people.